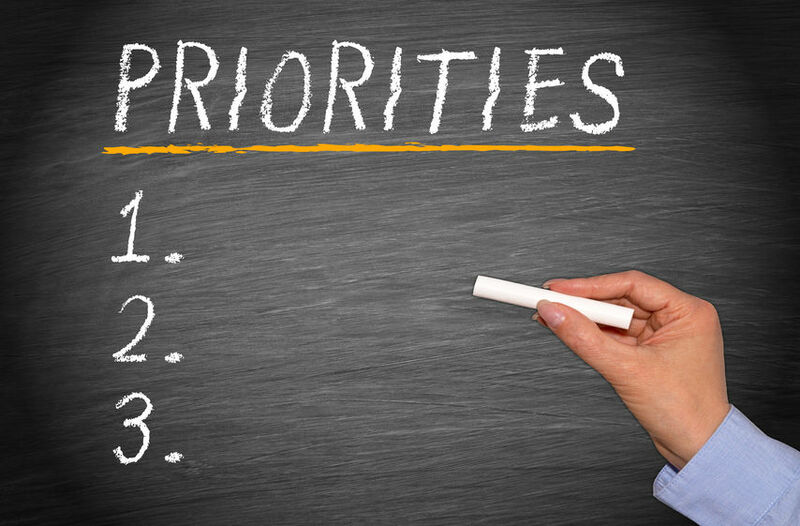 Prioritizing at the Owner Level | Strategy Leaders, Inc.
Have a partner who can’t prioritize. He works on one thing until he’s done, doesn’t matter how frustrated he gets, gets stuck and just is stuck. How can I help him get unstuck so he can work on top priority things? For that matter, what should be at the top of the priority list? Thoughts of the Day: There are only so many hours in the day at work, make each one count. Learn to make the most of individual differences Divide up the work. Set aside time to think and reflect. When in doubt, look at the job description. As a small business owner, there are lots of demands. For business owners it’s not about how many tasks get checked off during the day. Rather it’s about how well the business is working overall. Think of the owner’s job as performing as orchestra director. Be aware of how well all the individual performers are playing their parts. Know when a particular player needs more attention. Identify when to ask a player to speed up or slow down, to play more forcefully or quiet down. Some people are doers, some are thinkers. Each owner has a strength to contribute to the overall success of the business. If you have a partner who is very good at following a task or project to completion, take advantage of that. Just make sure someone else is attending to the quality of the overall performance. Set up meeting time to discuss how the business is performing overall and to find out how your partner is doing with his task list. One of the biggest obstacles to being effective is confusing immediate and important with worthwhile. For every task in front of you, ask, “Will this be a game changer for the business?” The stronger the answer, “yes”, the more likely that it should be an owner’s top priority. Top of the owner’s priority list should be growth and profitability. Both stem first from sales and marketing quality and quantity. So those should be the parts of the orchestra for all the owners to focus extra attention on, directly or indirectly. Take a look at your daily and weekly rhythms. Do you think better first thing, midday or at the end of the day? When are you more likely to have aha moments? When do things quiet down enough that you can close your door, step away from the immediate demands of the business, and take time to assess and plan how things are going long term? Block time for reflection on your schedule and ask everyone around you to respect that time block, even if it looks like you’re doing nothing but sitting quietly waiting for the next big thing to come along. The beauty of having partners is there’s more than one owner to carry the workload of overseeing the business. Each owner brings some kind of expertise to the table. Play to each partners’ strengths by picking topic areas for each to focus on. Think it broad terms, overseeing the major disciplines of the business: sales, finance, marketing, operations, human resources, technology, leadership development, and so on. Create a job description for each partner in the business, just as you would for each employee. Identify the strengths of each partner and assign responsibilities that make the most of what each partner is naturally capable of. Periodically review how each partner is performing and whether there’s a need for assistance. The beauty of being owners is you get to assign tasks and hire support staff. Use that privlege to your advantage by agreeing to delegate to others when things get stuck. Looking for a good book? “How to Prioritize Tasks to Increase Productivity & Work Smarter, Not Harder,” by Geoffrey Wright.